The Ply Rock Limitless Pulse is a refillable pod vape pen which is a direct competitor to the JUUL. The Pulse is automatically activated when inhaling the device. 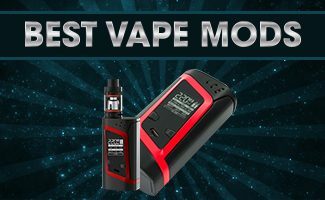 Some features that make the pulse stand out over its competitors is the ability to refill the pods with a vape juice of choice and that utilizes a micro-USB port for recharging. These pod systems have been highly successful at getting smokers off cigarettes. The Pulse is available in seven different colors which include White, Black, Blue, Red, Gold, Rose Gold and Silver. A detailed Limitless Pulse review including instructions on how to refill the Pulse Pods. The Ply Rock Limitless Pulse is a refillable pod vape pen and a direct competitor to the Pax JUUL. The Pulse Pods are 1.8 ohm and can be refilled 30 times. The Limitless Pulse can display up to seven colors. A user can pick up to seven colors which include: red, light blue, lime, green, turquoise, dark blue, and purple. Stealth mode is a great feature to have when not wanting to draw any attention while vaping. The device is still on, but the bright LED lights are turned off in this mode. 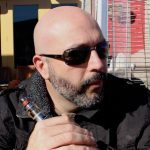 This discreet function is best when vaping in restaurants, movie theaters or anywhere else where vaping may be frowned upon. The Pulse battery is rated at 350 mAh and generates 8 watts of power. A typical Vaper can vape for approximately three to four hours before needing to recharge. The device utilizes a micro-USB port for charging and it is pass-through enabled, which means it can be vaped while charging. A full charge can be achieved in as little as 40 minutes. 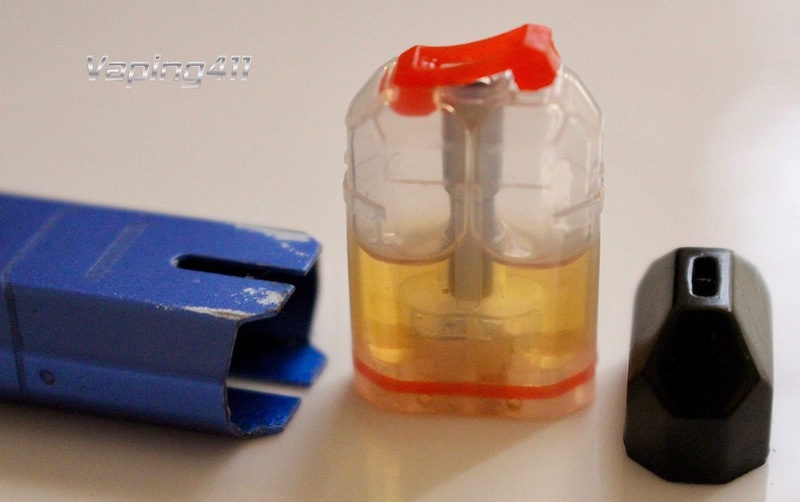 The Pulse Pod can be refilled by removing the mouthpiece and lifting the orange rubber seal. The Limitless Pulse kit comes with a pre-installed refillable pod and a spare pod. 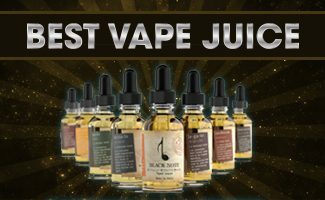 The great thing about the Pulse is that Vapers can choose what vape juice they want to use. Let’s face it, most pre-filled pods are not known for their great tasting vape juice, so this is a definite plus. Each pod can be refilled approximately 30 times before needing to be replaced. Light to moderate vapers can arguably vape for a month or two before needing to purchase additional pods. Replaceable pods come in packs of three and currently cost about $15.00. This device works with Nicotine Salt based vape juice. 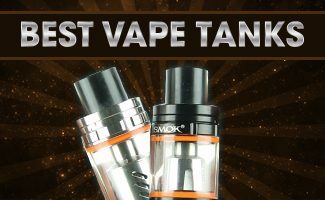 Suggested Vape Juice: SaltNic VGOD vape juice is highly recommended for these types of pod systems. SaltNic is based out of southern California and has some amazing Nicotine Salt based vape juice. I recommend the Cubano Black or LushIce. Source differ on how much vape juice these pods can hold, the numbers range from 1.0 to 2.0 ml of juice. A full pod should provide 150-200 puffs before needing to be refilled. That equals to about 1.5 to 2 hours of vaping. The pods utilize a silica wicking material and are rated at 1.8 ohm resistance. What makes the Limitless Pulse Pod System stand out is that the pods can be refilled with your vape juice of choice. 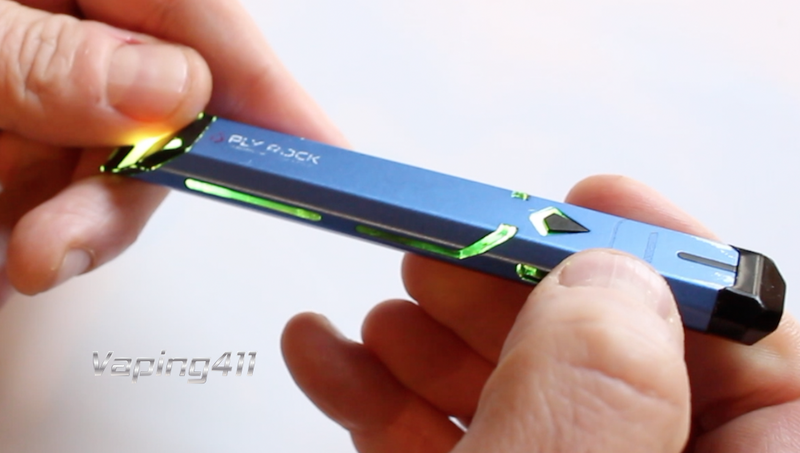 Additionally, it utilizes a micro USB port for charging and it is pass-through enabled. The only drawback is that the airflow is constricted causing a tighter draw than its competitors.